Everyone knows the importance of eating vegetables, but many home cooks avoid cooking them simply because they don’t know how. They want to add more vegetables to their diets but lack an understanding of the basic techniques. In this episode, Martha shares her favorite methods for preparing vegetables so that they retain their delicious flavors, bright colors, and nutritional properties. She offers viewers her approach to the wonderful world of cooking vegetables with quick, easy-to-follow recipes and tips. 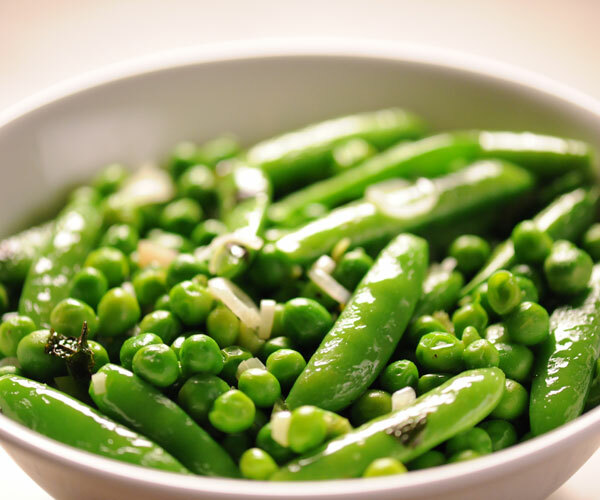 Viewers will learn how to make very simple vegetable side dishes including both corn on the cob and Mexican corn, sautéed broccoli rabe, acorn squash, brown sugar–glazed carrots, sautéed sugar snap peas and shelled peas with mint, and lemony kale salad. Martha Stewart talks about how Kale is King in the world of leafy greens. She also shows you the various types of kale. These sweet, buttery carrots make a perfect Thanksgiving side dish because you can make them ahead of time and serve at room temperature. Martha Stewart makes this brown sugar-glazed carrots recipe on the "Vegetables" episode of "Martha Stewart's Cooking School." Heat oil in a large skillet over medium heat. Add carrots and season with salt and pepper; stir to coat with oil. Let cook for 3 minutes, then add brown sugar and molasses; stir to coat. Cook until carrots are tender and sauce is thick, 5 to 8 minutes, adding 1/2 to 1 cup water as necessary to prevent sugar from burning. Meanwhile, heat grapeseed oil in a small skillet over medium-high heat. Add reserved carrot tops and cook until crisp. Transfer to a paper towel-lined plate and set aside. Add butter and rosemary to skillet; cook until butter is melted. Remove rosemary and discard. Transfer carrots to a serving dish and sprinkle with reserved fried tops. This brown sugar-glazed carrots recipe appears in the "Vegetables" episode of "Martha Stewart's Cooking School." Visit the episode guide to watch a preview and get a cooking tip.